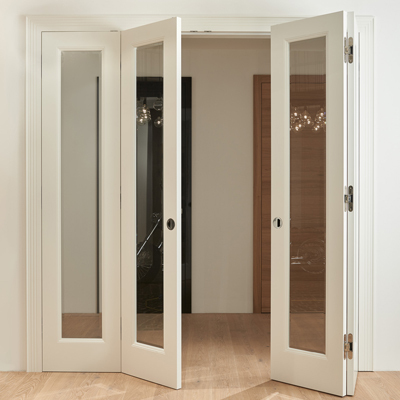 These custom made sliding doors do not need very much space to open, which makes them suitable for small or crowded rooms, because of their functionality and effectivity. However, large sliding doors are impossible to be unnoticed even in areas where space is not limited, thanks to the ambient atmosphere they create in your home. Wood doors provide authenticity to your rooms and make the doors more charming. Also, custom made sliding doors is easy, as all the elements come pre-assembled on the door. Also, these large sliding doors come fully finished from the factory, which means that they do not need to be painted. To add a personal touch to a sliding door and also to create openness and bring light into the room, glazing sliding doors will be a perfect fit. The sliding systems that we can supply with this modern doors have different designs so they can be installed in rooms with different interior décor. 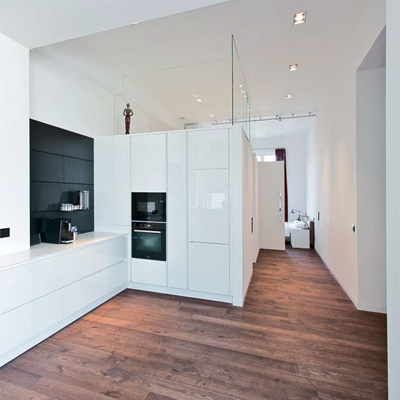 With our high-quality internal doors and the sliding mechanisms that we can supply with them, choosing the internal doors for your refurbishment becomes an easy job. 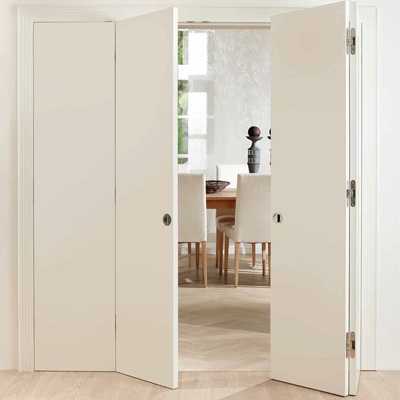 Our German factory can manufacture a wide range of custom made sliding doors, with different finishes starting with exclusive veneers and ending with painted RAL colours. Hidden sliding doors are suitable for rooms with a small amount of space and this is also the reason for which they are increasingly popular. Where space is tight, this type of doors is able to save around 10 square feet of floor space. Moreover, they offer a modern, elegant and classic design that cannot be overlooked. 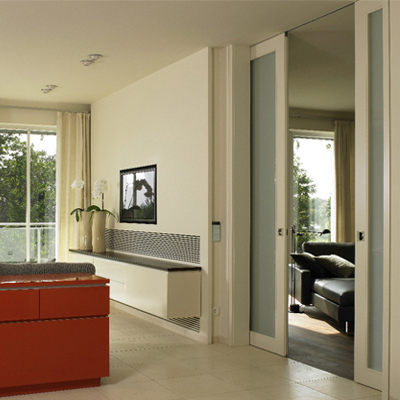 Hidden sliding doors are sold as pre-assembled units, together with the sliding system and handles. 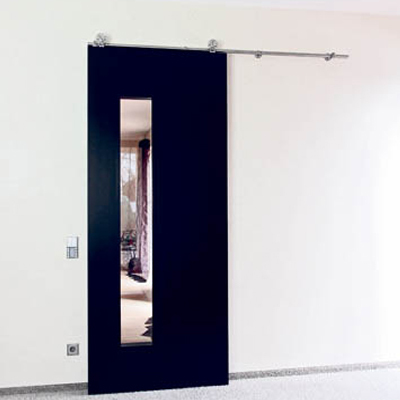 A double pocket door is suitable for wide wall openings where full passing space needs to be accessed at once. 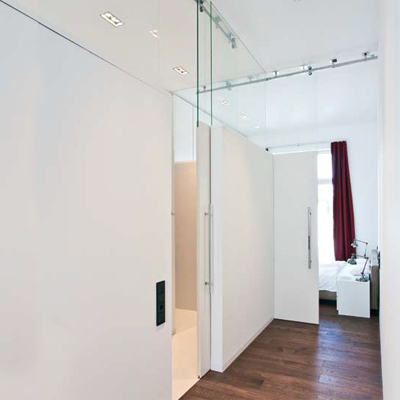 The pocket system allows the installation of two doors which will slide one to the left and the other one to the right. In this way, when the doors are open you can use the entire active passing space without any impediment. 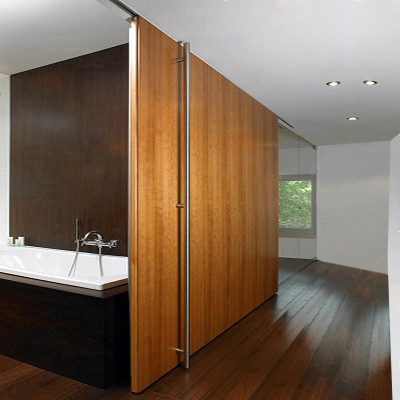 The needed privacy can be also obtained by closing the doors, creating a wood room divider. Practical and beautiful is what define made to measure bifold doors. The folding door with a perfect painted surface makes it possible to quickly and easily separate two rooms in your house, a dining room from the living room. Closed, the four-door elements show their classic timeless design. Space-saving, decorative and versatile, made to measure bifold doors fit perfectly into your room ambiance and thus ensure relaxation and a feel-good atmosphere. Light-flooded and open spaces are thus quickly and easily implemented, but also the demarcation of individual living areas can be realized in no time with our high-quality folding doors. When deciding on bifold doors, there are some factors that each house owner needs to take in consideration, one of them being the material type. The most appreciate material is wood, as it brings stability to the door and comes with various options as colour, grain, and design. Another benefit that wood bifold doors bring with them is the possibility of adding glass panels inside the doors. Glazed bifold doors have a very practical design that allows the natural light into the rooms and gives the sensation of an open space. Because our factory is specialized in creating bespoke door designs based on our customer’s imagination and desire, the below sliding doors with glass top panels stand as a proof of this statement. 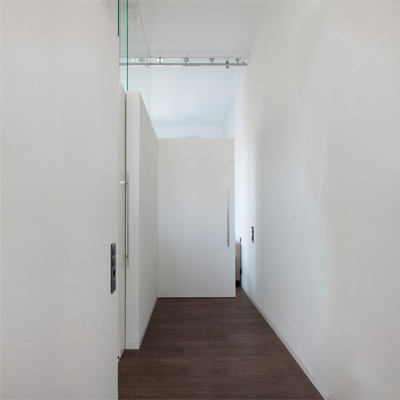 The bespoke sliding doors were manufactured to fit perfectly into our client’s apartment and also to act like separation walls between flat’s small rooms.